Next week, the Supreme Court will hear oral argument in Gill v. Whitford, a case challenging Wisconsin's legislative district lines as an unconstitutional Republican gerrymander. It's attracted attention because many high-minded commentators have blamed partisan gerrymandering for today's highly polarized politics -- and for the fact that Republicans have won majorities in 67 of the 98 houses of state legislatures and in 10 of the past 12 elections in the U.S. House of Representatives. But as I and others have argued, gerrymandering has contributed only marginally to Republican success. More important is demographic clustering. Democratic voters are heavily clustered in central cities, sympathetic suburbs, and university towns, while Republican voters are more evenly spread around. The Wisconsin Democrats want to require districting plans to compensate for this clustering, presumably by drawing long tentacles that stretch from central cities through suburbs and to the countryside. That strategy, followed by Democratic redistricters in Maryland and Illinois, has produced the nation's most grotesquely shaped congressional districts. In Gill v. Whitford, Democrats found a favorable three-judge district court, but a five-vote majority of the Supreme Court blocked the ruling from taking effect while the court considers the case. Unchallenged in this case is the requirement that districts have equal population, which the Supreme Court mandated in Reynolds v. Sims in 1964. Actually, the roots of the equal population requirement go back much further, to July 1787, when members of the Constitutional Convention agreed on clauses requiring that a federal census be conducted every ten years and that each state's number of representatives in the House be determined by the results of that census. This was novel, perhaps entirely original. Seats in the British Parliament and in Continental counterparts were never allocated in this way. The Framers were endorsing the principle that representation should be directly related to population. The temporary apportionment they specified for pre-census Congresses was based on their informed estimates of states' populations. The Framers did not specify just how members should be chosen within a state. In the early republic, as political scientist Jay K. Dow documents in his new book, "Electing the House," different states chose differently. Some chose members statewide; some used single- and multiple-member districts. In 1842, Congress passed a statute requiring states to create districts with equal populations. Later Congresses added that districts should be compact and contiguous. These laws were not rigorously enforced through litigation but remained in effect until 1929, when they were dropped as part of a political compromise. Urban interests were unhappy that Congress did not reapportion House seats among the states after the 1920 census as the Constitution requires. Rural members had refused because of the alleged pernicious tendencies of big cities. The city folk got a provision, still in effect, setting an arithmetic formula that automatically reapportions House seats among the states from census results. Rural folk in return eliminated the equal population requirement so that rural-dominated legislatures in big states could create low-population rural districts that would elect Republicans and conservative Democrats. That's what happened -- when legislatures bothered to redraw the lines at all. So by the 1960s, Michigan had one (Democratic) district with 802,000 people and one (Republican) district with 177,000. 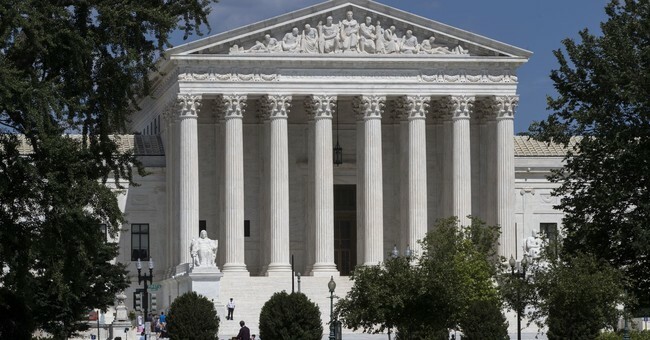 The Supreme Court in response reimposed the equal population standard that had been favored by the Framers and by Congresses for many decades. Now come Wisconsin Democrats, essentially claiming that's unfair. They have concocted an "efficiency index," showing that the state's district lines leave many more Democratic than Republican voters with legislators they oppose. Of course, that's a consequence of clustering. Hillary Clinton lost Wisconsin by only one percentage point, but the counties she carried cast only 35 percent of the votes. The Wisconsin plaintiffs are, in effect, insisting that the Constitution requires proportional representation, a system widely used in foreign countries but not required by the Framers or by past Congresses. Instead, Congress has required single-member districts, which tend to disadvantage parties with demographically clustered constituencies. There are obvious practical problems with the plaintiffs' doctrine. It would require grotesquely shaped districts and arguably conflict with the Voting Rights Act. It would require redistricters to anticipate voters' often changing choices over ten years. Republican redistricting advantages didn't prevent Democrats from winning House majorities in 2006 and 2008 and might not in the next two elections. By reimposing the equal population requirement, the high court has already provided an effective limit to partisan benefit from redistricting. The Framers pointed us in that direction, not toward entrusting (sometimes partisan) judges with the impossible task of eliminating partisanship from politics.